Another day, another battle. Not the one we had with Son upon discovering we were headed for the site of yet another famous Irish skirmish (that is a different story). Suffice to say, peace negotiations with him involved a beach trip at the end of the day. Today was all about the Battle of the Boyne – having “done” the Siege of Derry, we figured this iconic battle seemed a logical next step. 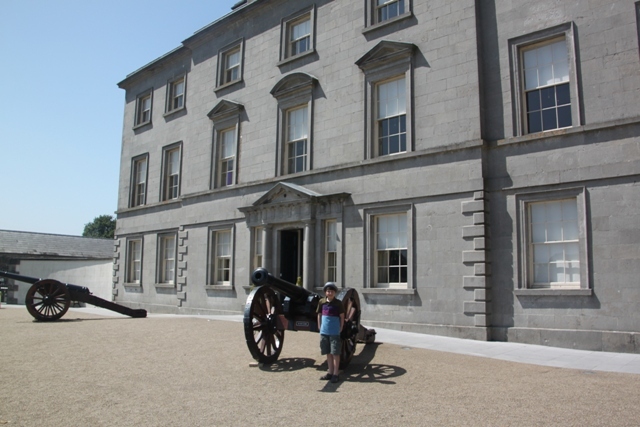 We headed south of the border to Co Meath, a green and pleasant drive through the Boyne Valley and well off the tourist route. 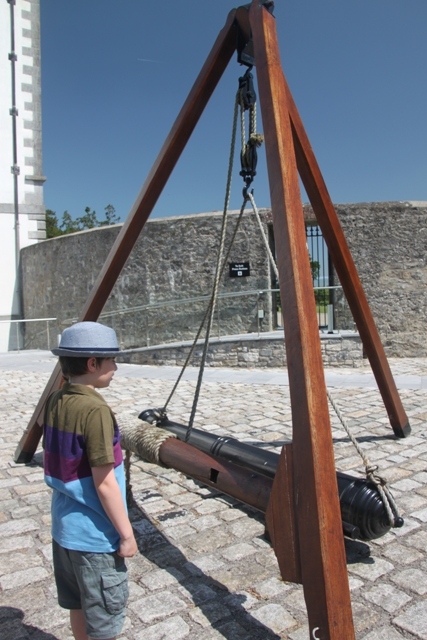 The Battle of the Boyne Visitor Centre near Drogheda is a fascinating place commemorating the 1690 battle where Prince William of Orange defeated Catholic King James II, a battle which preceded 3 centuries of conflict in Ireland. The centre was jointly opened in 2008 by the Irish Prime Minister and the leader of the Unionist tradition in Northern Ireland – a ground breaking step in the peace process. 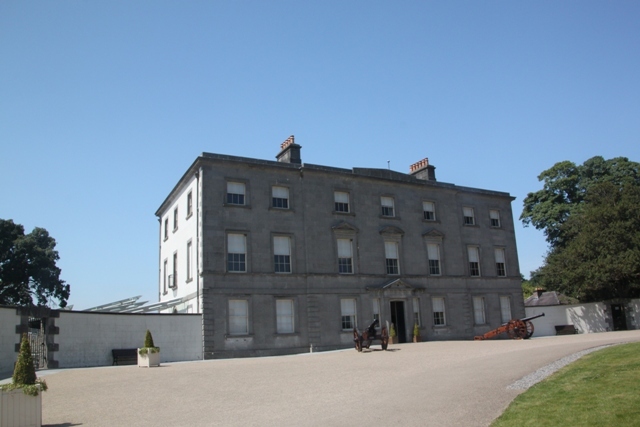 They have transformed formerly derelict Oldbridge House into a museum telling the story of the battle. 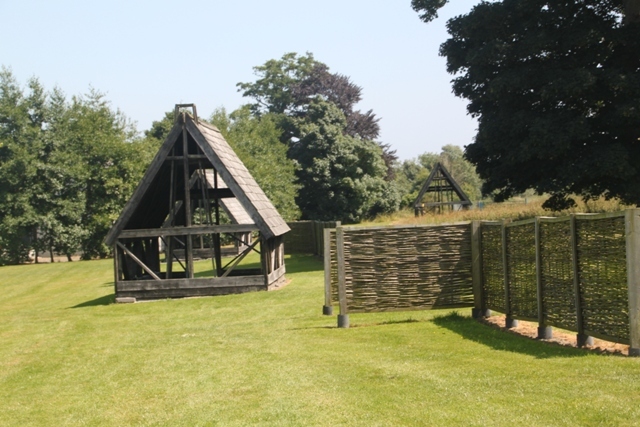 As well as the historical stuff, there is 500 acres of spectacular, lush, green pastureland to explore. We started with a picnic in the car park (more pleasant than it sounds), then set off. Inside the house is a little exhibition with life size wax models of William and James in their tents on the eve of battle. You can listen in to their conversations and hear their battle plans – very nicely done. The interior of this old mansion is also gorgeous – wooden floors, high ceilings and original features, shame we only got to go into 2 rooms and weren’t allowed to take pictures. Son enjoyed this, but being a child of the digital age, the big model of the Boyne Valley as it was in 1690 was more his thing. He hadn’t uncovered a new love of history – it was the lasers and flashing lights that did it. They use lasers and lights on a big model to simulate troop movements and battle scenes. Again, really nicely done and great use of technology to bring history alive. 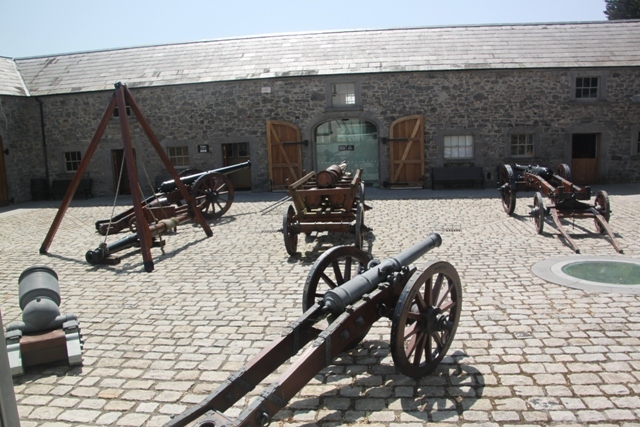 Outside in the courtyard was an artillery exhibition and stables. After ice cream and refreshments overlooking the walled garden we were ready for an afternoon hike. Not so much a hike, more a pleasant stroll, but it depends who you ask about this (Son’s view would be more of an Everest trek). It was only about 3 miles and all very flat. We walked away from the old mansion through the former battlefields. 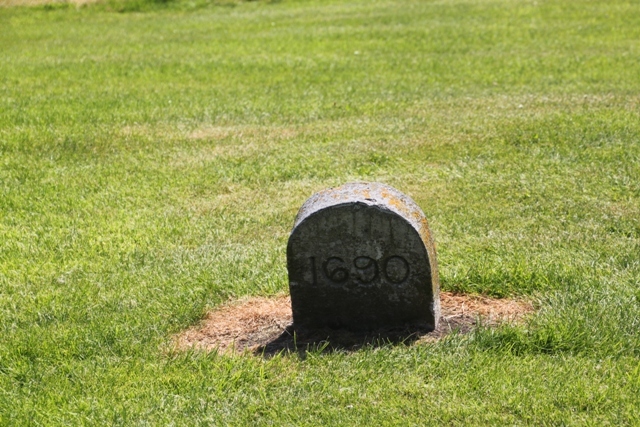 There is a replica of Oldbridge Village in 1690 and various markers depicting battle sites. 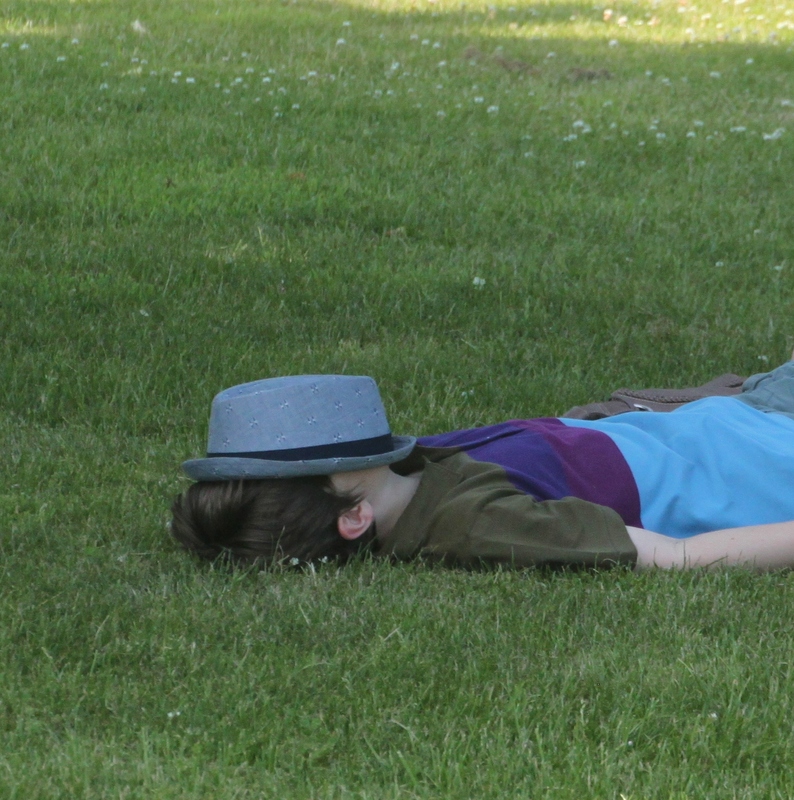 It was a pleasant walk, although the sun and hot weather is something novel for us when we visit Ireland, so it had this effect on Son at the end. 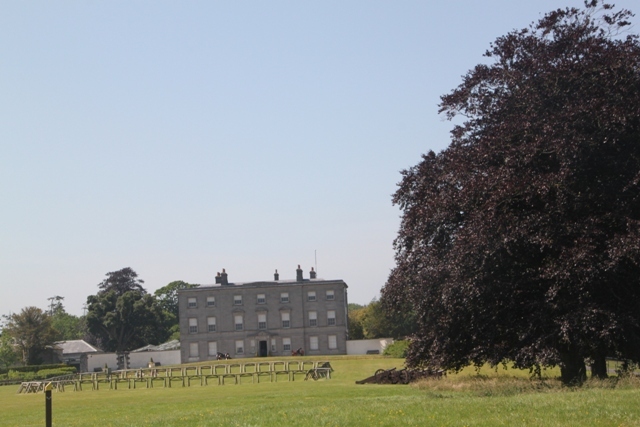 Whatever your views of the Battle of the Boyne, this is a fascinating walk through history with nature and scenery thrown in for good measure. As to our own earlier battle, we promised a beach, so a beach had to be delivered. 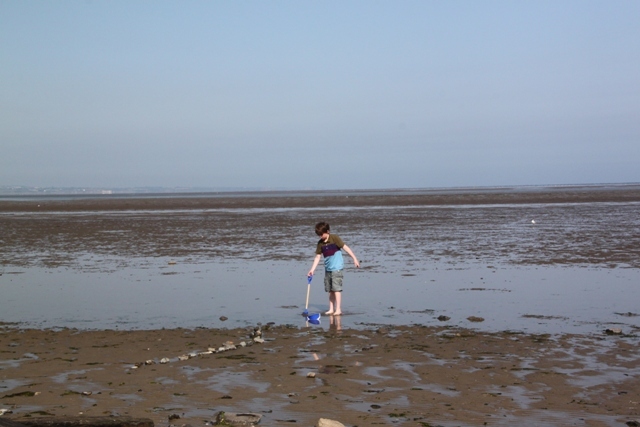 Not the most beautiful or scenic one in the world, but at Blackrock there was sea (albeit a very long way out) and sand, so Son was happy. A beach – instant peace-maker. Looks plenty scenic enough for the purpose! Yes, sand and sea always work as a bribe in our family!! My son drags us to battle sites, too. Since he’s in the military, I can never refuse. Luckily, we usually get in for free as a result, so I can’t complain too much. But I’d prefer a beach. You must be very proud of him! A day with battle sites and beaches mixed seems to work well for us. took place here in 1066! East Sussex is somewhere on our “list” – not made it there yet, but someday hopefully. Yes it’s a gorgeous place and they have done a great job with the historical stuff. We loved it there.